Exit Via the Red Carpet: Will Banksy Turn Up at the Oscars Tonight? Direct from sell-out shows in litter strewn alleyways and shabby walls across the globe, heeeeerrree’s Banksy! The Academy are all aflutter about what to do with the street artist überstar, who may well be set to win the Oscar for best documentary for his/her hilarious film, Exit Through the Gift Shop. The film won the Oscar for best editing – according to Slashfilm, this is a good indicator of a pending victory because all but one of the most recent best documentary films were successful in that category. So what if he/she does win? The Academy declined Banksy’s request to appear at the awards wearing a monkey mask because they feared a deluge of copy-cat party crashers. Not to mention, who’s to say that the monkey in the mask who mounts the stage to accept the award if the film does win is actually Banksy? It’s probably too late now, but perhaps the Academy could collaborate with the artist to create a one-of-a-kind monkey mask so that Banksy could stand out from the crowd of would-be Banksys. Hilarious. Works purporting to be by Banksy, and documented on the website, www.banksy.co.uk, have been appearing around LA in recent days, including the two shown here. Mickey and Minnie – living la vida loca in LA. Heh heh. As an aside, the fate of these stencils highlights everything that’s been said before about the commodification of this art form – ironically captured so effectively in Exit Through the Gift Shop. According to an account on Slashfilm, one of the stencils has been removed and sold on eBay (video of said removal is posted on YouTube), the billboard poster has been taken down and is to be displayed in Las Vegas, and the occupants of the building upon which the third has been painted are lobbying their landlords to clean the defaced stencil and protect and preserve it. This may just be the most effective Oscar’s campaign ever – the truth of the message conveyed by Banksy’s film enacted in the streets of LA. All of this creative activity has been fuelling the frenzied speculation about whether or not he/she’ll attend. My guess? He’ll get Shepard Fairey or Mr Brainwash (whoever he may be!? 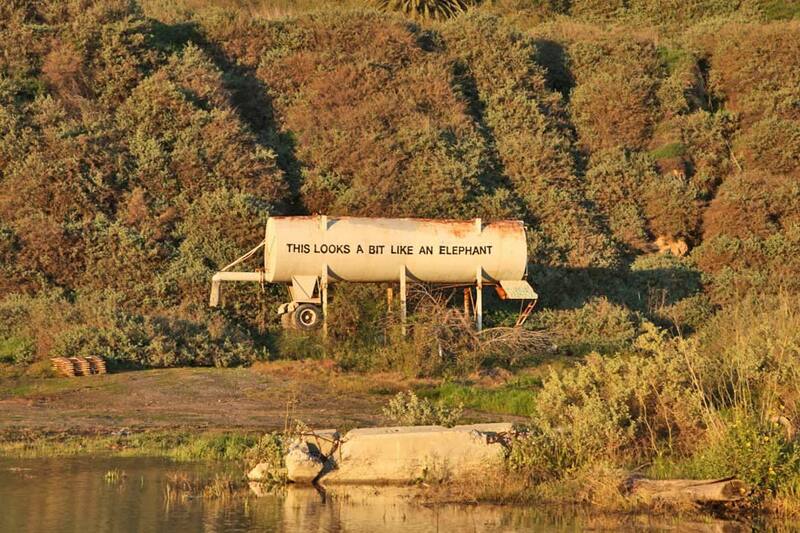 One of the theories is that HE is Banksy) to collect it on his behalf. Let’s hope I’m wrong, and that he/she – or they, for that matter – does show up in one incarnation or another. Could be the one thing that saves the annual snooze-fest that is the Academy Awards ceremony.